Spotlight on…. the unexplained wealth order in the U.K.
Wishing you all a Happy New Year. The last year saw some interesting developments at the tail end: In December, Malaysia announced it was going to go after Goldman Sachs, the financial institution that underwrote three bond issuances of their scandal-ridden 1MDB investment fund, in a big way. The Attorney General made it clear that he intends to claim “well in excess” of $3.3 billion - $2.7 billion misappropriated by persons associated with the former regime from the bonds proceeds plus $600 million that Goldman received in fees. This the first time that an emerging economy is taking on a large world-renowned US financial institution to recoup the proceeds of high-level corruption. In the same month, the EU Commission, through its Vice President, expressed its intention to seriously step up enforcement of AML Rules in the wake of a number of scandals, including the recent €200 billion Danske Bank money laundering scandal, by giving the European Banking Authority greater powers to coordinate the work of national banking watchdogs. Concrete proposals to be forthcoming in 2019. Rarely a day passes without more news on the anti-corruption and AML front. What used to be obscure terms for policy wonks, like “beneficial ownership” and “Politically Exposed Person”, have entered the vernacular. Another such term, which in the UK has already become standard usage, is the Unexplained Wealth Order (UWO): an investigative tool that compels the individual to provide evidence of the source of their wealth and the nature of their interest in a UK property. While not an asset forfeiture measure, the UWO can be the first step in a process leading to confiscation of property that was acquired with stolen assets. For more on this see our Spotlight section at the end of this newsletter. It is no secret that international cooperation is one of the most challenging barriers to successful recovery and return of stolen assets. At the World Bank Group’s International Corruption Hunters Alliance (ICHA) in Copenhagen, we discussed this issue at length (session report below). Luckily, there are a large number of asset recovery networks and professional associations out there that can help countries establish good channels of communication and improve cooperation on asset recovery cases. We are often asked for help with establishing contact with these networks. That’s why we’ve just published a global directory that lists all major AR networks, with information on their membership, organizational structure and contact information: “International Partnerships on Asset Recovery: Overview and Global Directory of Networks”. We hope it’s a helpful resource for asset recovery professionals around the world. We are looking forward to an action-packed 2019. 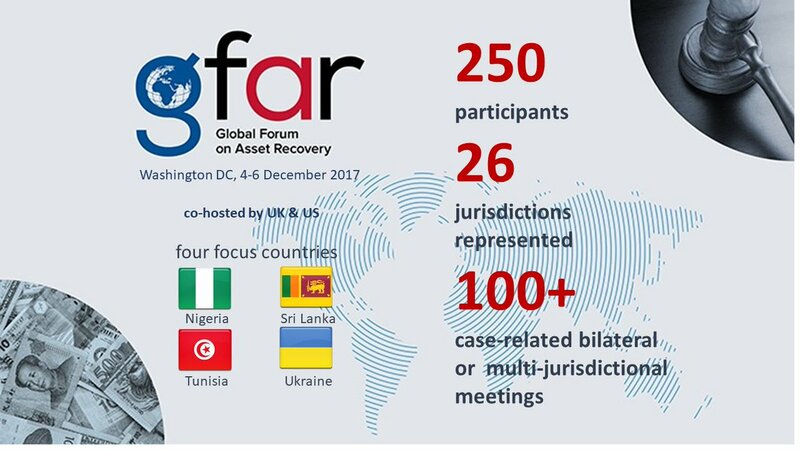 One year ago, in December 2017, the US and the UK co-hosted the first Global Forum on Asset Recovery (GFAR) held at the World Bank and organized by StAR. The Forum focused on the recovery of assets stolen from Nigeria, Sri Lanka, Tunisia, and Ukraine, and was attended by 250 participants from 26 countries. 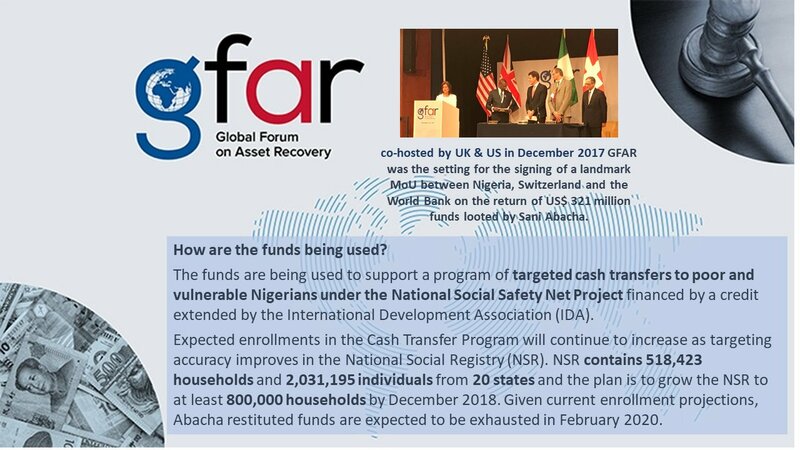 GFAR provided the setting for the signing of an MOU between Nigeria, Switzerland, and the World Bank on the return of $321 million in funds stolen by President Abacha and his family to Nigeria. Under the agreement, the World Bank is monitoring the disbursement of the funds. In Sri Lanka: StAR continued to provide assistance for the development of an asset recovery strategy and action plan. We drafted a document based on consultations that were conducted during a round table held in August 2018 with all relevant stakeholders. StAR has also been providing advice on a new Proceeds of Crime Act: the Sri Lankan authorities finalized a “Policy and Legislative Framework of the Proposed Proceeds of Crime Act of Sri Lanka”, with support from StAR, which will form the basis for the drafting of the new law. In addition, StAR is supporting the strengthening of Sri Lanka’s asset declaration system. During the last quarter, the StAR team in collaboration with another World Bank project, drafted and shared with Sri Lankan authorities a detailed proposal on the features of the electronic filing and verification system for asset declarations that Sri Lanka plans to develop. In Ukraine: in the last quarter, StAR organized and funded two workshops during the last quarter for National Anti-Corruption Bureau (NABU) staff: a training on accessing and using registries and a training on financial investigations and international cooperation. The first training covered functionalities of company and property registries abroad and the second training focused on good practices in international cooperation (on the logistical side), as well as how to strategically use international cooperation to advance corruption cases and ultimately recover the proceeds of corruption. StAR also organized a training for civil society representatives in December on using open sources of information for tracing assets abroad. StAR is also supporting the process to improve the legal framework on the functioning of the agency for the recovery and management of seized assets in Ukraine (ARMA): we provided comments on the ARMA draft legislation and helped coordinate with key international partners working on this topic. In November, a StAR expert participated as a panelist at the Forum on the Management of Seized Assets in Ukraine and shared results of UNODC's analytical work on asset management experiences and good practices from other StAR engagements. We are also helping the National Anti-Corruption Bureau with their follow-up on MLA requests in several jurisdictions and are involved in the World Bank dialogue with Ukrainian authorities and international partners on the launch of the High Anti-Corruption Court (HACC). 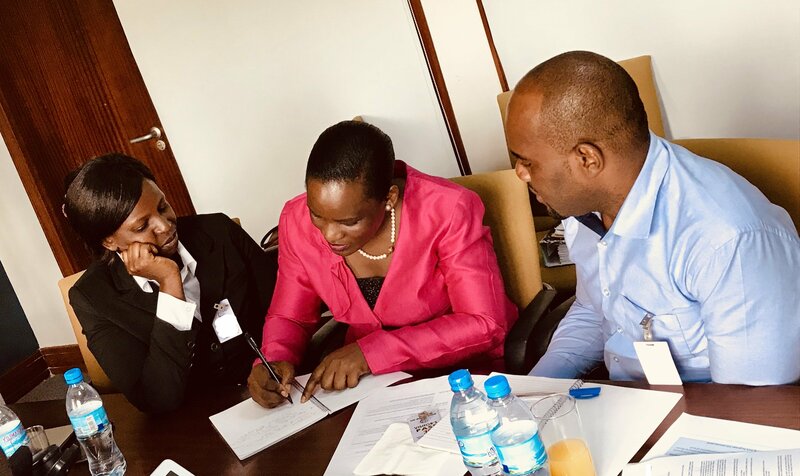 A StAR team traveled to Tanzania in December 2018 to assist with the preparation of an operations manual to standardize and guide asset recovery work of the Asset Forfeiture and Recovery Section (AFRS) in the office of the Director of Public Prosecution (DPP). StAR organized a 2-day consultation workshop with a core group of practitioners from AFRS and other law enforcement agencies in order to document and discuss their current asset recovery work-flow process, as well as identify challenges and solutions that should be reflected in the draft manual. During the workshop, practitioners collected information on their current recovery practices. One of the outcomes of the scoping mission to Ecuador earlier last year was the establishment of a group of inter-agency focal points on asset recovery. To support this, StAR organized and facilitated a workshop in Quito, Ecuador, in late November 2018 during which the composition of the group was determined - 11 government agencies and institutions – and a draft Memorandum of Understanding on the group’s establishment was agreed upon. The objective of the Group of Inter-Agency Focal Points on Asset Recovery (GEIRA) will be to coordinate, strengthen and suggest asset tracing and recovery policies and strategies; strengthen the institutional capacities for asset recovery; and promote inter-agency cooperation and information exchange on asset recovery. StAR also organized a workshop to share experiences in asset recovery and analyse legislation on provisional measures and confiscation. The workshop served as an opportunity for GEIRA’s future members to exchange good practices and challenges in asset recovery at a sub-regional level. In particular, the experiences related to the introduction of non-conviction based forfeiture in Colombia and amendments to the “pérdida de dominio” in Peru proved to be great examples. There is currently no non-conviction based asset forfeiture legislation in force in Ecuador but the country is considering introducing a mechanism for such forfeiture. The International Centre for Asset Recovery (ICAR) Peru also presented on Peru’s asset recovery experience. StAR continued to provide expertise in support of the World Bank dialogue with authorities in Moldova on the impact of the voluntary tax compliance (VTC) program adopted in July 2018 (Law on Voluntary Declaration and Fiscal Stimulation) and the adoption of adequate controls. The amendments to the law (adopted in November 2018) are aimed at narrowing the categories of individuals who benefit from this program, such as excluding potentially higher-risk individuals who are required to file asset declarations. 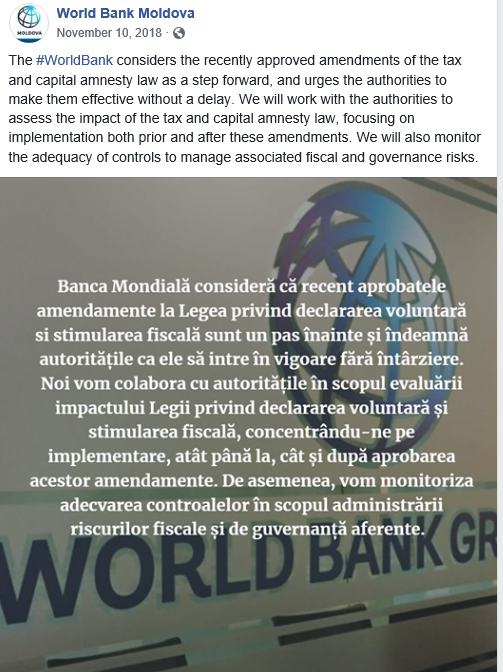 The World Bank statement on the amendments, posted on the World Bank Moldova’s Facebook page, is shown here. StAR experts also provided advice to the National Integrity Authority of Moldova on how information on beneficial ownership of assets can be reflected in the asset declaration form and providing guidance to filers on this new requirement. StAR had advised authorities on the introduction of the beneficial ownership requirement in the legal framework on asset declaration. In November 2018, StAR facilitated meetings between officials from the Moldovan Asset Management Agency and their counterparts in ARMA, the Ukrainian asset management agency, in which the parties exchanged experiences and lessons learnt from the interim valuation, management and sale of seized assets. In October, StAR provided comments to Kyrgyz authorities on a draft regulation on the procedure for valuation, sale or destruction of confiscated, abandoned property and property inherited by the state. The StAR team also organized a videoconference to discuss preliminary options for the establishment of a comprehensive system for asset management, including of seized assets. The Kyrgyz Republic's mutual evaluation report adopted by the Eurasian Group on Combating Money Laundering and the Financing of Terrorism (EAG) in May 2018 called for the establishment of such a system to address the country's low level of effectiveness rating under immediate outcome 8 (confiscation). In October 2018, StAR organized a workshop for investigators, prosecutors and judges in Kazakhstan focused on the enforcement of non-conviction-based confiscation judgments. Kazakhstan recently adopted new legislation on non-conviction based confiscation, which entered into force in January 2018. This workshop was designed and adapted to Kazakhstan’s legal system by StAR, together with Sir Anthony Hooper, a former UK appeals court judge, and covered key aspects of international cooperation, investigation and evidence collection in transnational corruption cases and relevant due process requirements. During the workshop, the first ever non-conviction-based confiscation judgment issued by a Kazakhstani court and based on the new legislation was presented and discussed. Relevant court practice in the UK, adapted to civil law context in Kazakhstan, was also part of the training program. 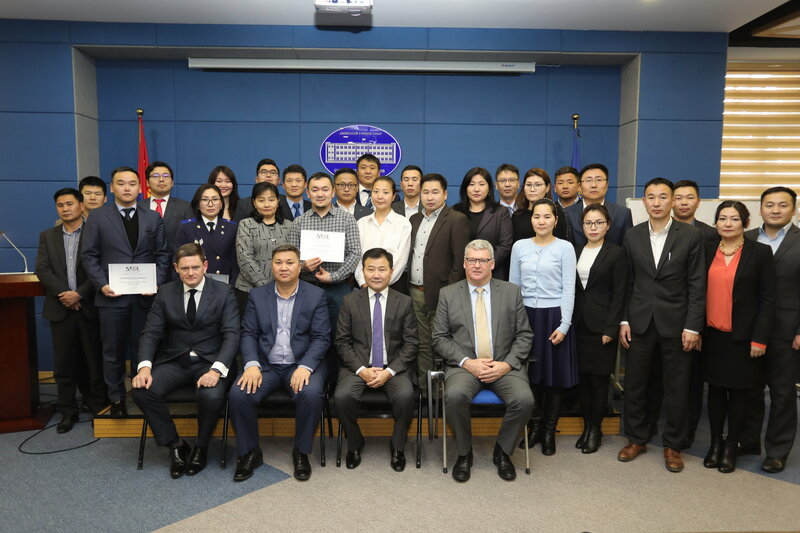 StAR facilitated a 5-day training course “Introduction to Financial Investigations” in Mongolia in October 2018 for newly qualified financial investigators and money laundering investigators. The engagement in Mongolia followed a FATF Mutual Evaluation Report from September 2017, which found a low level of effectiveness for using financial intelligence for ML/TF investigations (immediate outcome 6) and for investigation and prosecution of money laundering activities (immediate outcome 7). Participants came from the FIU and various other investigative or law enforcement agencies. 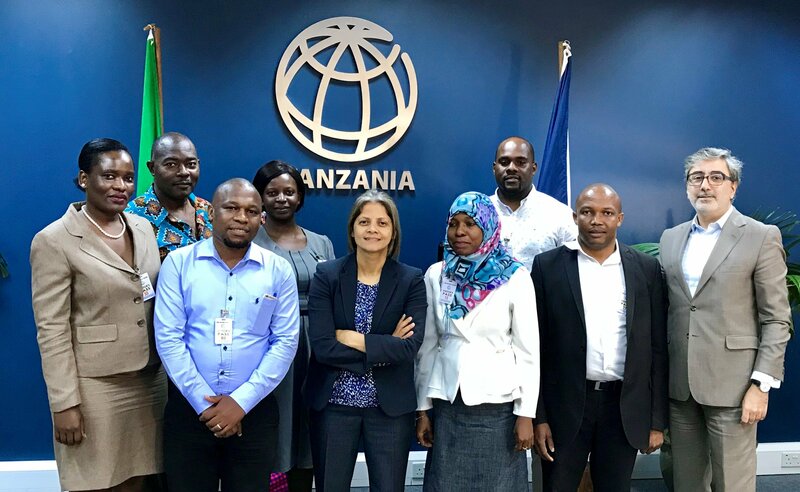 The training covered relevant domestic legislation, the role of different agencies in financial investigations, asset recovery principles, non-conviction based recovery, and international cooperation, as well as practical exercises based on case studies. StAR also organized a one-day course “Strategic Management of Financial Investigations” for senior managers and prosecutors engaged in serious and organized crime investigations and prosecutions. 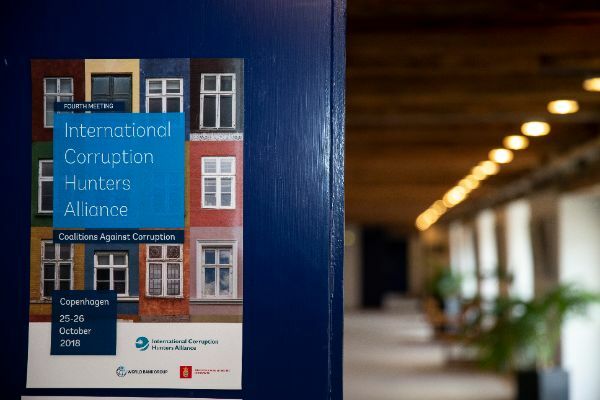 StAR contributed to multiple panels and workshops at the 18th International Anti-Corruption Conference (IACC) from 21 to 24 October in Copenhagen, Denmark. IACC is one of the largest global anti-corruption events, bringing together actors from government, civil society, international organizations, and the private sector. The conference takes place every two years in a different region and the main organizer is Transparency International. StAR and the Network for Integrity jointly organized a session on "Promoting Transparency and Accountable Institutions at all Levels" which focused on the use of digital tools and data to promote transparency, ethics and integrity in the public sector. The StAR coordinator moderated this session and a StAR expert made a presentation on electronic filing and verification for asset and income declarations and international trends in the use of electronic filing. (Session report). See Laura Pop’s blog post on the topic here, as well as our 2017 publication on the subject: Getting the Full Picture on Public Officials: A How-to Guide for Effective Asset Declaration. StAR contributed to discussions on the follow-up to the London Anti-Corruption Summit, and asset recovery and domestic resource mobilization. 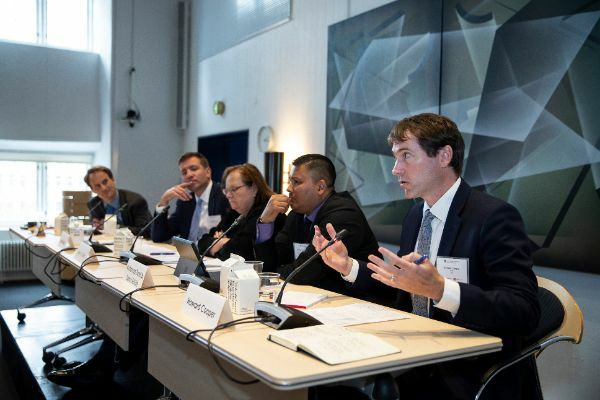 StAR participated in the World Bank Group’s International Corruption Hunters Alliance (ICHA), held on 25 and 26 October in Copenhagen, directly following the International Anti-Corruption Conference. ICHA is a biennial meeting that brings together people who are working on the front lines to stop corruption in their countries: anti-corruption agency heads, directors of public prosecution or investigations, and other experts. The fourth meeting was co-hosted by the Ministry of Foreign Affairs of Denmark and the World Bank Group. StAR chaired a panel on challenges and practical solutions in international asset recovery during which panel members from a requesting jurisdiction (Malaysia) and from requested jurisdictions (US and UK) and a private sector actor (Kroll UK) discussed the challenges in international asset recovery and ways to overcome them. Among the challenges flagged were complex international networks that corrupt people rely on to perpetrate bribery and embezzle state funds, which compel requesting countries to obtain intelligence from abroad. The sophistication on the part of the perpetrators is often no match for the law-enforcement and judicial capacity in jurisdictions affected- exacerbated by a lack of internal and international cooperation. Legal actions by those accused of corruption invariably cause delays, especially when every option for appeal is exhausted. The Mutual Legal Assistance (MLA) process can also present obstacles: sending MLA requests without sufficient preparation and without sufficient substantiating evidence to back it up or, in turn, failing to respond in a timely manner may lead to a breakdown in trust between requesting and requested parties. A frequent challenge is establishing the link between an asset and a particular identified crime - the payment of a particular bribe or the embezzlement of identified government money. Further difficulties mentioned were insufficient prioritization of international corruption cases by investigative agencies and dealing with information that may be subject to legal professional privilege. Speakers identified several possible ways to overcome these challenges: increased pressure from international institutions on countries to implement and enforce anticorruption measures has proven very important. The US Department of Justice Kleptocracy Unit plays a globally vital role in investigating and ultimately returning the proceeds of foreign bribery and embezzlement. For large cases, having a high-level domestic task force under the chairmanship of someone with sufficient political influence was flagged as a possible way to ensure good domestic corporation sharing. In the case of Malaysia’s 1MDB investigation, the creation of an international task force (US, Switzerland, Malaysia and Singapore) helped with swifter transmission of information across borders and a faster MLA process. Relying on actions taken by other states to advance domestic cases can also be an effective strategy. For example, the Malaysian authorities were fortunate in being able to rely on information contained in civil forfeiture claims filed in the US. Best practices regarding sending MLA requests were discussed, notably the importance of exhausting police to police and counterpart to counterpart channels to gather information before seeking to file a mutual legal assistance request, as well as sending a draft mutual legal assistance request before submitting a definitive version to avoid complications or non-observation of procedures that cause delays. Panelists further noted that avenues for taking action against stolen assets are increasing and that effective international asset recovery requires both civil and criminal law approach, including through civil mechanisms such as non-conviction based forfeiture and regulatory cooperation between financial authorities. One of the ways in which the international community was trying to assist requesting countries in the effort to track down the proceeds of corruption, was through the International Anti-Corruption Coordination Centre (IACCC) based in London. There was a specific focus on beneficial ownership transparency, the subject of StAR’s 2011 Puppet Master report, and StAR participated in the event to support this work through presenting research on case studies of corruption cases involving vast quantities of assets, which will serve as inputs to a StAR knowledge product. In Lima, a team consisting of StAR/World Bank/UNODC staff and a consultant participated in panel discussions on the role of PEPs and the role of financial institutions in enabling corruption cases, and presented a case study on the Moldovan bank fraud case. In November, StAR attended the steering group meeting and the annual general meeting (AGM) of the Asset Recovery Inter-Agency Network- Asia Pacific (ARIN-AP) in Bali, Indonesia. At the AGM, StAR moderated a panel on "Developing Effective Asset Recovery Systems" and another one on "Innovation and Strategy for Effective Recovery of Criminal Assets", and gave a presentation on developing asset recovery strategies. 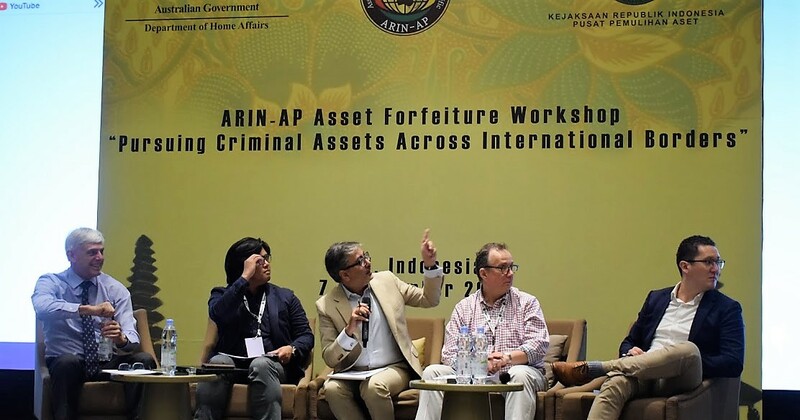 StAR also participated in a regional workshop on "pursuing criminal assets across international borders", organized by ARIN-AP, the Indonesian Asset Recovery Center of the Attorney General's Office, and the Australian Department of Home Affairs. As part of this workshop, StAR contributed to panel discussions on international cooperation and beneficial ownership, and presented a case study on asset recovery in Tunisia. 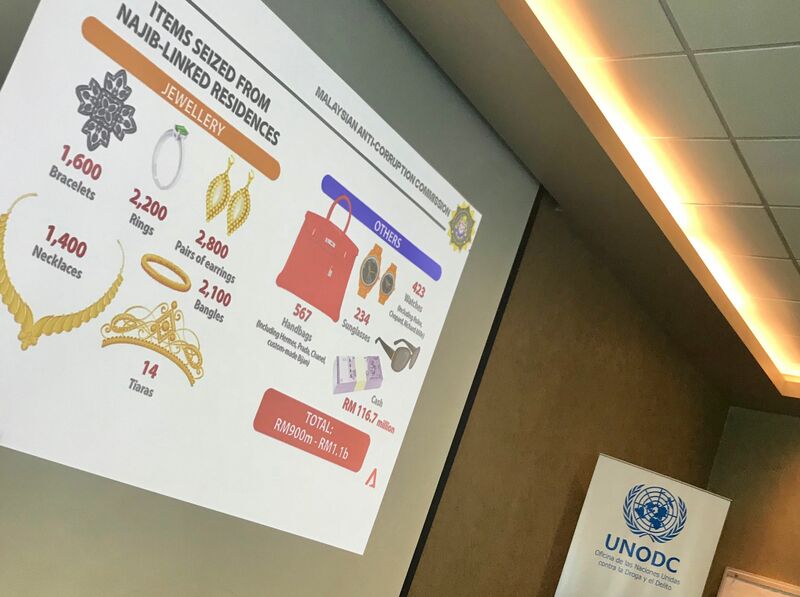 The case study highlighted different legal avenues used for asset recovery, as well as StAR’s role in working to facilitate the return of stolen assets to the country. StAR contributed to the inaugural meeting of ARIN-CARIB, the asset recovery network for the Caribbean, in November with a presentation on our work via videoconference. As part of the International Law Institute Anti-Corruption Seminar, held at the World Bank in Washington D.C. in November, StAR led a session on international cooperation in recovering stolen assets. The seminar was attended by government officials and parliamentarians from seven different countries. In January 2019, StAR published “International Partnerships on Asset Recovery: Overview and Global Directory of Networks”, a resource to help asset recovery specialists identify and access the appropriate networks and facilitate international cooperation in the forfeiture of criminal proceeds. This new publication examines different strategies for international cooperation and the distinction between formal mutual legal assistance (MLA) requests and informal assistance. It includes a global directory that lists asset recovery networks, along with information about their membership, organizational structure and contact information. The Indian authorities published a new Beneficial Ownership Guide for India in October 2018, with support from StAR. The beneficial ownership guides are intended to serve as a guide for investigators or other interested parties looking to find information on an entity incorporated under the laws of the country concerned, including the identity of the beneficial owner or controller. All guides that have been published to date, compiled by country authorities with support from StAR, are available on our website. 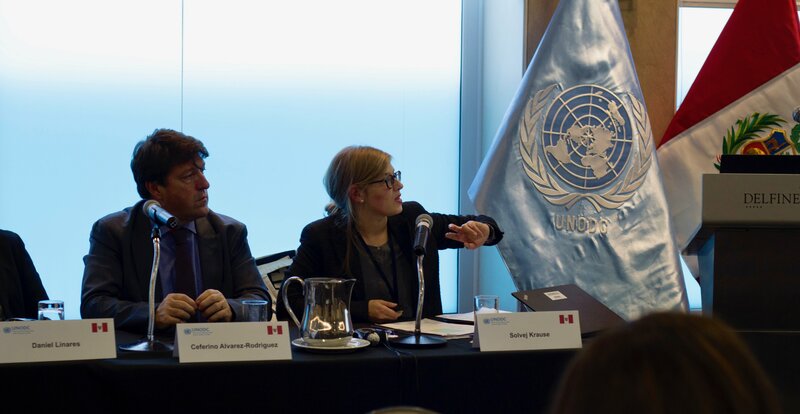 In November 2018, StAR, together with UNODC's Corruption and Economic Crime Branch, organized an international expert group meeting under its knowledge pillar, with a focus on the role of lawyers in enabling corruption and financial crime and the impediment that legal professional privilege or professional secrecy can pose for investigators seeking to gather evidence (notably on beneficial ownership) in the course of their investigations. The meeting was attended by around 30 experts from different jurisdictions, including investigators, prosecutors, legal professionals, the International Bar Association, FATF, academics, an investigative journalist, and a representative from a civil society organization. The discussions brought out many differences across jurisdictions with regard to the scope, interpretation, and applications of legal privilege or professional secrecy. However, the discussions also clarified there are currently clear vulnerabilities related to the abuse of privilege, especially when privilege protections are advertised for financial and business services provided by legal professionals. Participants discussed several different models to help address practical challenges related to LPP, as well as impacts of the implementation of the 5th AML Directive in Europe on the ability to assert privilege over beneficial ownership information. StAR will use the findings of the meeting to draft a report on this subject, including recommendations, building on a discussion paper that was presented at the meeting, with inputs from expert meeting participants. The Unexplained Wealth Order in the U.K. If you have been following the articles and blogs about the enforcement of anti-corruption laws, or participated in anti-corruption conferences of events, you will have likely come across a reference to the unexplained wealth order (UWO) which was recently introduced into UK legislation under the 2017 Criminal Finances Act. This measure became effective in the UK as of January 2018 and it offers a new tool in the arsenal of UK investigators and prosecutors to allow them to go after the proceeds of corruption in the UK. A frequent challenge in recovering proceeds of international corruption cases is that for conviction-based asset recovery, you need either a criminal conviction in the country in which the corruption offense took place or – if there’s no conviction in that country – you need jurisdiction over the public official involved (or allegedly involved). But public officials often enjoy immunity while abroad or they benefit from impunity in political systems in which corruption offenses are only enforced very selectively, or not at all. For non-conviction based in rem forfeiture, which has a lower standard of proof than criminal proceedings, the prosecution generally has to provide evidence for a link between an asset located in one country and an underlying crime that was typically committed in another country. In practice, establishing this link between an asset that is suspected of having been purchased with proceeds of corruption and the underlying crime can be challenging, as success is highly dependent on good cooperation between investigative agencies in both countries. Time therefore for a closer look at the unexplained wealth order. The tool, which is sometimes called the “McMafia Law” after a popular BBC TV show, is unusual in that it requires the holder of the asset in question against whom a UWO is issued to provide evidence for legitimate sources of funds. The UWO has retrospective effect, meaning that property or assets purchased prior to January 2018 can be subject of a UWO. There are reasonable grounds to suspect that the respondent’s known sources of lawfully obtained income is insufficient to allow the person to obtain the property in question. If these conditions are met, only those agencies defined as an “enforcement authority” can request the High Court to issue an unexplained wealth order. In England and Wales, these agencies are the National Crime Agency, HM Revenue and Customs, Financial Conduct Authority, the Serious Fraud Office, or the Crown Prosecution Service (the public prosecutor). For Northern Ireland, it is the Director of Public Prosecutions for Northern Ireland. It is important to point out that the unexplained wealth order is an investigative measure. Contrary to what many believe, it is not an asset forfeiture order to confiscate any unexplained wealth – though it may be the first step in a process to do so. The enforcement agency that is requesting the unexplained wealth order may, at the same time, request an interim freezing order to prevent the respondent from dealing in the property to avoid possible frustration of any subsequent asset recovery order. The order requires the respondent to provide information on the nature and extent of their interest in the property in respect of which the order is made and explain how they obtained the property - including, in particular, the source of funds used to purchase the property. The order may also require the respondent to produce certain specified documents. These requirements ostensibly affect the presumption of innocence of the person against whom a UWO is issued. Since the UWO can only be requested by an enforcement authority, other agencies can only obtain the requested information by referral of their case to one of the specifically defined agencies. If the respondent fails to provide the requested information, that failure may give rise to a presumption that the property in question is recoverable using civil recovery proceedings. Unlike most other investigative legal tools that are overseen by the criminal courts, or by criminal courts sitting in a civil capacity, the UWO is overseen by the civil courts. If, while purporting to comply, the respondent makes a statement that he or she knows to be false or misleading, the person is guilty of a criminal offence punishable with up to two years imprisonment. However, because of the human right protecting persons against self-incrimination, information provided pursuant to an unexplained wealth order cannot later be used in a criminal prosecution against the respondent - though they may of course be used in court against other persons. However, the law makes a distinction between different types of information: while statements cannot be used as evidence in a criminal prosecution against that person, this protection does not apply to documents that are produced by the respondent during the UWO process. The first person against whom an unexplained wealth order has been issued is Zamira Hajiyeva, the wife of Jahangir Hajiyev, who was the chairman of the International Bank of Azerbaijan, the largest bank in the country. The bank was originally fully state-owned and after a gradual privatization process the Ministry of Finance retained a controlling interest at all times while Mr. Hajiyev was chairman. In 2016, he was jailed for 15 years for a major fraud and embezzlement scheme involving the bank’s assets. The National Crime Agency applied for an unexplained wealth order against her, arguing that the husband’s employment as a state employee from 1993-2015 would not have allowed him and his wife to amass the wealth traced to them. Her husband’s official net income, according to records cited in the High Court judgment, ranged between US$ 29,000 in 2001 and $70,650 in 2008, plus shared that generated around $90,000 in dividends in 2008. Yet the couple’s properties reportedly include a £11.5 million house in London (now worth £15 million), a £10.5 million Golf Club near Ascot, a £16 million shopping spree at Harrods over the course of 10 years, a £1.2 million diamond ring, and a £31 million Gulfstream G550 jet. To pay for her Harrods purchases, she allegedly used over 30 different credit cards issued by the bank that was chaired by her husband. The couple set up complex corporate structures to hold their real estate properties, which include a British Virgin Islands company and trusts in Guernsey. We would like to thank Jon Mack (Serious Fraud Office, UK) for his insightful comments on this Spotlight piece.